In Los Angeles in November of last year, a friend of So It Goes was bemoaning the death of cinema attendance. Whether or not you wholly subscribe to such doom-mongering, the steady decline of sitting in a darkened cinema to actually consume your cinema is hard to ignore. The myriad devices, whether tablet, laptop, phone (or even television if you feel like being old-fashioned) on which to watch your film, are richly (and potentially over-) served by the streaming market.With unmatched war chests to license, host – and now – produce content, Netflix and Amazon have led a vanguard of disruption and insecurity. So It Goes are pleased to announce that we embarking on a remedy to this backslide into mass-consumption of moving image by partnering with MUBI, the online streaming platform with over 8 million users. MUBI’s avowed intent is to provide a stage for high-quality cinema from around the world, for directors, actors, producers who have found themselves increasingly crowded out by the rise of algorithm-controlled taste machines. All of MUBI’s choices are made by humans. In the same way that So It Goes agonises over the people who combine to make each issue of the magazine, so is each film that goes on MUBI debated and considered at length by real, live human beings. Over the course of the next year, we are going to be partnering with MUBI on a series of projects, including special curation sections on the MUBI platform and a fully integrated co-curation programme across print and digital. We couldn’t be happier to enter into this partnership with such a like-minded team, who are willing to place value on the intangible, on the loose smile or barely heard word of a celluloid vision. We’ve tried, but have realised we can’t explain better the enduring appeal and transcendent potential of cinema than the founder of MUBI, Efe Cakarel, whose words below we hope will serve as an impressionistic manifesto for our shared commitment to the world and art of of the big screen. We’ll leave you with this – thank you for your continuing support and we hope that you enjoy the fruits of our collective labours. To launch the So It Goes x MUBI partnership, So It Goes will be selecting their ‘MUBI film of the week’ each month for the duration of our exciting partnership. Selecting from MUBI’s rich, diverse slate of films from across the world, our first month’s selection spans titles from a mix of the most lauded historical and contemporary auteurs, each one having left an indelible mark on film and filmmakers that followed. 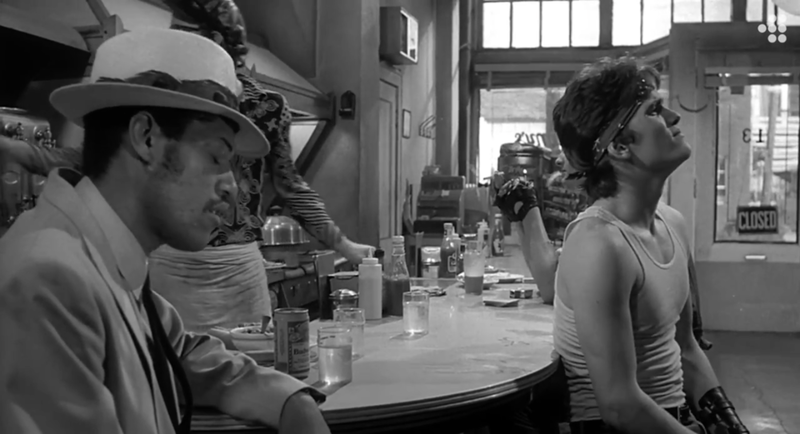 With only a week left to view, the first So It Goes pick is Rumble Fish from one of the the doyens of American cinema, Francis Ford Coppola. 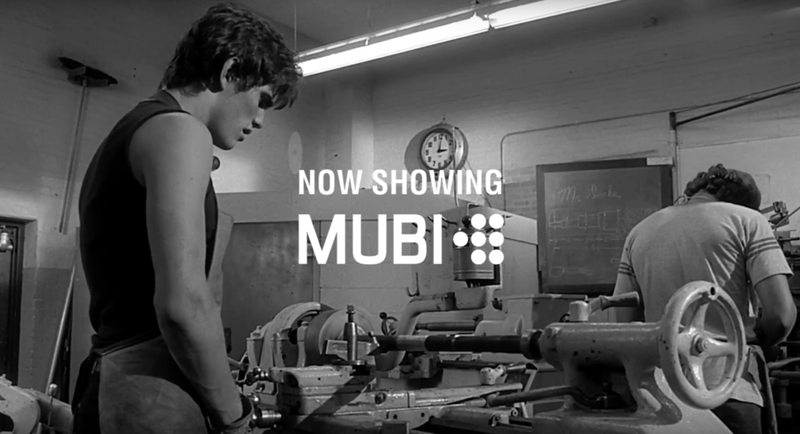 Displaying the true heart of an artist, Coppola’s films have always pushed the boundaries of form and content – and Rumble Fish is no different, with Matt Dillon's memorable Noir-ish turn as Rusty James, the aspiring hoodlum from Tulsa. Still as stylish and unpredictable as ever, this is an enduring So It Goes favourite.